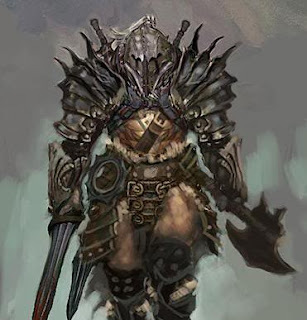 Check out the full Diablo 3 Barbarian Guide over at Diablo3Blog! Whether it be normal, nightmare, hell or inferno, I'm going to give you guys a few helpful tips to make your life a lot easier. Most of this stuff is pretty common sense, drawn from theory crafting and actually putting it to work. I myself am in Inferno now, so everything here is 100% accurate and tested. For beginner leveling, I recommend you socket your helmet with a ruby as early on as possible. It gives you % EXP on every kill. This will help you level faster, making your time in nightmare and hell easier. Once you near 60 you can replace it for a Topaz and get that extra MF if you want to hunt gear or VIT if you want to be safe. A trick of mine that a friend and I figured out to leveling faster is running Hell Azmodan over and over. He's VERY easy to kill and gives 105k for killing him and another 105k for talking to Leah in the armory. All in all, at around levels 50 through 60 you'll be getting 10% a run. A run takes no longer than 10 minutes. That's some pretty fast leveling if you ask me. Be patient with the barb! You start off slow but once you get going there's no stopping you. There aren't many classes that can run in solo on hell / inferno and take on a group of 10+ mobs and come out alive!